Sometime back in these pages of Employment News there was an article about careers in Actuarial science. In fact being qualified as an actuary, one is most likely to enter into insurance profession. However there are many more opportunities and roles available in the insurance industry and this article is a humble attempt to explore the same. Zindagi Ke sath bhi, Zindagi ke bad bhi (जिंदगी के साथ भी, जिंदगी के बाद भी) you might have come across these lines in the advertisement of an insurance company. Benefits of Insurance may be available to a person in life, and if situation changes the benefits are available to immediate family. Insurance has a direct correlation with risk, perceived risk to be precise. Risk which is considered to be an integral part of life and business, is defined as a probability or unexpected threat that may result in injury to or death of a person or damage to or loss of a property. Whenever an untoward incident like loss of a life takes place. The family may be affected in many ways. There are emotional upheavals and the family may have lost the comfort of a regular income, needed to support the family, which was earned by the deceased person. Similarly, when a person is injured resulting in temporary or permanent disability, the financial loss, likely to occur, could be on account of medical expenditure and loss of earning due to disability. When it comes to property, movable or unmovable ,the financial loss can be assumed in terms of money required to repair, rebuild the asset or buying a new one. In all the above cases insurance is a big support and this supporting role encourages people to take insurance policies. Insurance is defined as a special contract between the insurance company, called insurer and the person or entity, known as insured/client , opting for the insurance. Insurance is a mechanism by which the affected party is able to get a compensation for the financial loss suffered by her as a result of unexpected or unforeseen incidents. Under an agreement of insurance, the client is required to pay insurance fee/charges to the insurance company. This fee/ charge in the insurance vocabulary is known as premium which can be one time or periodical payment depending upon the terms and conditions of insurance undertaken. In lieu of this premium the insurance company agrees to make certain payment to the client or bear the costs of a client in case of an unforeseen event, defined in the policy. Insurance, in fact, is a model of sharing of risks and financial losses. Losses of few people are divided among large number of people. So all of those who have bought insurance would share the loss of few who have actually incurred the loss. Compared with global standards, reach of insurance is considered to be low in our country. However more and more people are now realising the importance of insurance for self and family. Many organizations also offer insurance coverage to their employees. 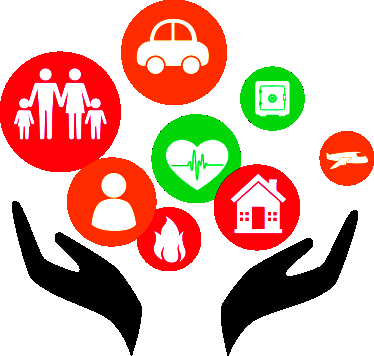 Demographic factors like growing middle class , young insurable population, organizational initiatives and government participation are driving the insurance penetration and as per trends the overall insurance industry is to reach US $ 280 by 2020. Insurance has broadly two segments-Life insurance and non-life insurance which is also termed as general insurance . Life insurance provides coverage to the life of individuals. Life Insurance Corporation of India, incorporated in 1956,is the only government company in this sector. It has about 115 Divisional and 3700 other offices in the country. Insurance is also provided for export, engineering goods etc. Assistant Administrative Office (AAO): This is a position similar to that of probationary officer in public sector banks. While for all public sector banks the vacancies are pooled and a common selection test is held, AAOs are recruited by individual insurance companies as per the employment notice issued by them. Graduates from all disciplines are eligible to apply for the position of AAO. The selection process is divided into three stages, first being the preliminary examination. Containing questions of reasoning ability, quantitative aptitude, English language (grammar, vocabulary, comprehension). Merit list for interview is prepared based on score in main examination only. Assistant: The position of Assistant is a clerical position and usually vacancies for them are more than that of AAOs. Here also all graduates are eligible. While AAOs are selected on all India basis and can be posted anywhere within the country, applicants for assistants' positions have to indicate the state/union territory for which they are applying. Upon selection they get their posting accordingly. Assistants who perform well may get promoted to officers cadre after putting in required number of years, subject to available vacancies. Actuary: Graduates who have passed the required papers in the examination conducted by Institute of Actuaries of India/Institute and Faculty of Actuaries, United Kingdom are eligible to apply for this position. Law officer: A degree in law and being registered for practicing law, by Bar Council of India is the common requirement for the position of Law officer in insurance companies. You should have pursued Law either after your graduation or 5 years integrated course after 12th. Information technology officer: Insurance companies are adopting Information Technology in a big way and to strengthen their related infrastructure need Information technology officers. To apply the candidate should at least be a graduate in Engineering in Information Technology/ Computer Science or Electronics. Those qualified as Master of Computer Applications (MCA) or Master of Computer Science (M.Sc. Computer Science) are also considered eligible. Human Resources officer: A postgraduate Degree or Diploma in Management with specialization in Human Resources or a similar qualification is required for this position. In some cases candidates with Master of Social Work are also considered eligible. Official Language officer: All central government departments and public sector undertakings need to have Official Language officers as prescribed in relevant acts/rules. This is applicable for the above insurance companies also. Postgraduates in English/Hindi with Hindi/English at graduation level are considered. Sometimes postgraduates in Sanskrit with English and Hindi at graduation level are also allowed to apply. Some experience/certificate in translation may be required/an advantage. Specialist vacancies also exist in finance function for which qualifications like MBA (Finance), Chartered accountancy are considered. For specialists positions candidate has to appear in an additional test of professional/ subject knowledge. For example the one who has applied for the position of HR officer will have to appear in the test of Human Resource Management. Working as an Insurance Agent: Insurance is a matter of solicitation and most of the insurance policies are mobilised through agents identified/ accredited by insurance companies. Those who are at least matriculate (10th pass) and over 18 years of age may opt to become an insurance agent after obtaining the required certification. In many cases the insurance company arrange classroom training for agency aspirants after which the candidate has to appear in the certification test prescribed by the Insurance Regulatory and Development Authority of India (IRDAI). The other option is to attend the online course, pass the certification examination and then apply for agency .The certification has to be renewed after prescribed intervals for which one is required to attend refresher training and then pass the required test. Courses related to Insurance: At few institutes you may find an undergraduate course like B.Com. (Insurance) or BBA (Insurance). At postgraduate level you have the opportunity to pursue a management course (MBA/Postgraduate Diploma in Management) with insurance. National Law University has MBA in Insurance & Risk Management. Banaras Hindu University has a similar course. BIMTECH, Noida offers PGDM in Insurance Business Management. Aligarh Muslim University has a PG Diploma in Banking, Risk & Insurance Management. These are just few (indicative) examples. Institute of Insurance & Risk Management is joint initiative of IRDAI and Government of Telangana. It conducts courses like PG Diploma in Management, PG Diploma in Investment & Risk Management,PG Diploma in Actuarial Science, PG Diploma in Analytics & Actuarial Science. Insurance Institute of India: Insurance Institute of India(III) at Mumbai is the pioneer in continuing insurance education in the country. It conducts courses like PG Diploma in Health Insurance, PG Diploma in Insurance Marketing, International Certification in Life & General Insurance, Executive Diploma in Insurance Management, Certificate in Compliance, Governance & Risk Management in Insurance, Certified Insurance Anti-Fraud Professional (jointly with North American Training Group, USA). III also offers online training for licensing of insurance agents/brokers. National Insurance Academy at Pune offers Postgraduate Diploma in Management with emphasis on Insurance. Brokers online learning course is also available with the academy. Role of IRDAI: Insurance Regulatory and Development Authority of India (IRDAI),headquartered at Hyderabad, is the regulator of insurance business in the country. It plays the same role as RBI for banks and SEBI for stock markets.IRDAI also has opening for insurance professionals, usually at senior level and for experienced candidates. Working here is considered to be highly prestigious. One may also get associated with insurance industry as a loss surveyor or loss assessor by obtaining required certification from a body recognised by IRDAI. Job opportunities also exist in specialised agencies like Agriculture Insurance Corporation of India and Deposit Insurance and Credit Guarantee Corporation.